Someday we will run out of fossil fuel, and eventually buildings will need to power themselves. This is not a new concept; in fact, the very first buildings to rely on electricity to illuminate Edison’s light bulb generated their own power employing coal fired dynamos in their basements. Today, technologies for building integrated power generation are improving at a rapid pace, new energy producing materials are appearing on the market, and the cost of building components based on these technologies is going down. Regrettably, early adopters of power generating technologies have not yielded an architectural vocabulary that is especially pleasing to the eye. Solar panels or wind turbines are often handled clumsily and look like science projects gone awry rather than components truly integrated into or driving the overall building design. Even worse, some don’t seem to work at all or yield insignificant amounts of power. Despite these early attempts, there is enormous potential for creation of buildings that are self-sustaining and beautiful, too. Throughout the history of architecture, technical advances have led to new architectural paradigms. Take the arch, for example, a structural innovation that made the Gothic cathedral possible. And when it didn’t quite work, it spawned an even more architecturally rich element – the flying buttress. Centuries later, the emergence of the steel frame along with the elevator ushered in another shift in the architectural paradigm. In part, these two technological breakthroughs provided a means to address a societal need – cities could grow vertically to accommodate more people as they moved from rural areas into urban environments. Architects of the time failed at first to find an aesthetic expression of these new innovations, which led Louis Sullivan to pen his famous essay in 1896, “The Tall Office Building Artistically Considered”. As a consequence, the modern skyscraper was born, following his famous edict “form ever follows function”. We are in a similar time now. The societal need today is to find a way that buildings can be at least partially self-sustaining, and contemporary technological breakthroughs include many new power generating materials and systems. Architects have taken the forces of sun and wind into account in their designs for centuries and continue to do some very good work using passive design approaches. In some cases these forces have shaped a part of a building or the entire form itself. 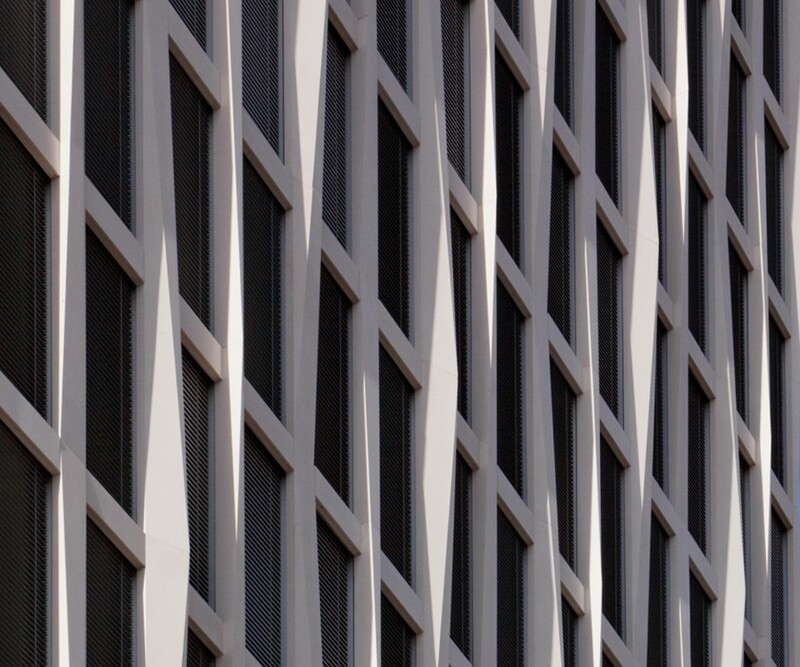 The façade of Barkow Leibinger’s Tour Total in Berlin is both beautiful and functional as it blocks the sun, and Studio Gang has used the sun’s rays to carve out a building form to minimize shadows on New York’s High Line. These gestures are rare, but truly clever building forms that generate power are almost nonexistent. 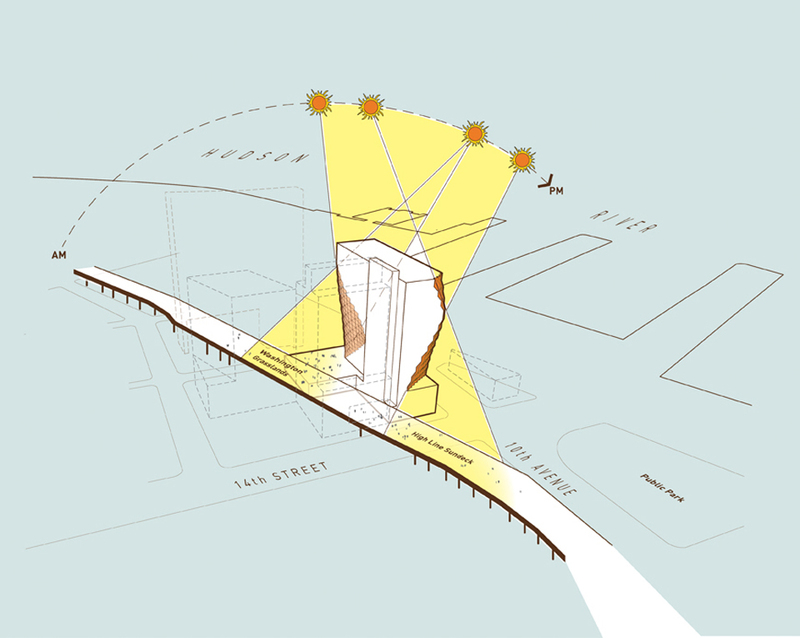 Perhaps the influences of sun and wind are too fluid and too complex to lead to any particular architectural idiom? Work in the studios of nearly all architecture schools is also puzzling. Most students have taken sustainability very seriously and have applied powerful analysis tools to evaluate site and climate conditions. However, they seem to be using their most powerful tool, parametric modeling, only as a generator of complex, gravity-defying geometry rather than as a means to drive designs that express the results of their analyses. Exemplary built work is also hard to find. 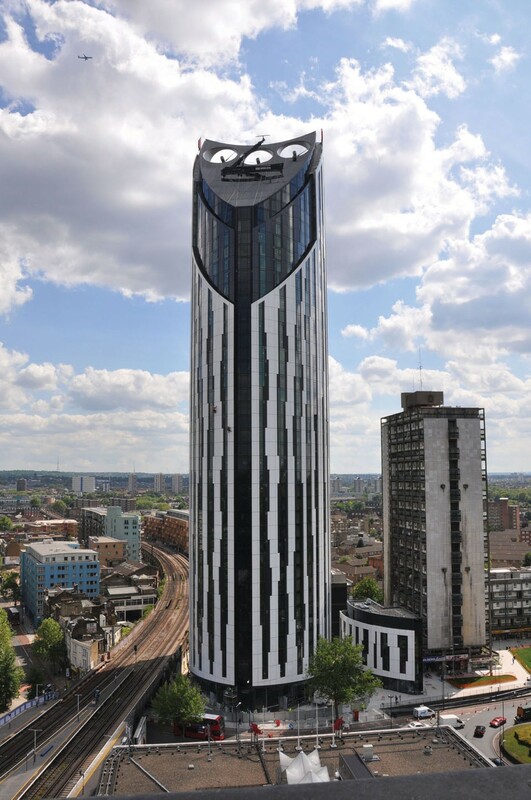 At one extreme is London’s Strata Tower, a 43 story building with three giant wind turbines forming its slanted top, winner of Building Design magazine’s 2010 Carbuncle Cup as Britain’s ugliest building. The turbines, purported to generate 8% of the building’s power needs, never really worked, and when they did, they made so much noise that the penthouse occupants asked them to be turned off. Six years later, the turbines remain silent. 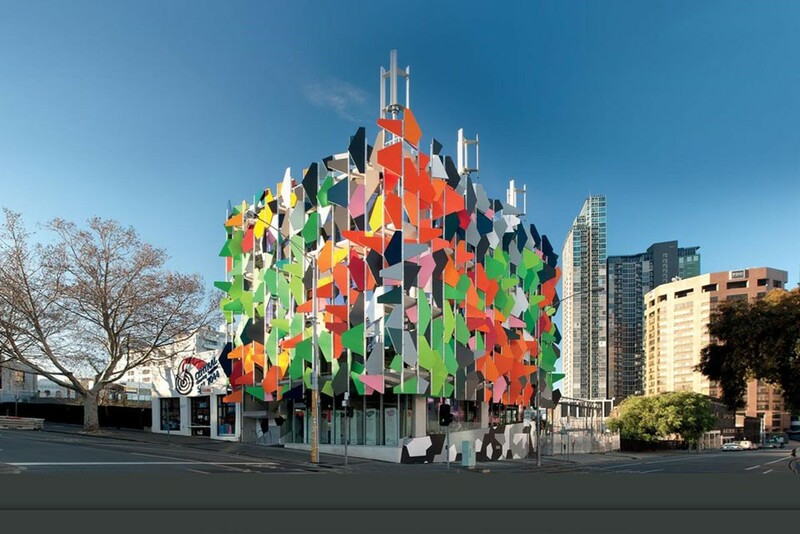 At the other extreme is a little gem in Melbourne, the Pixel Building, exuberantly expressive of its sustainable attributes that include on-site power generation and rainwater harvesting in sufficient quantity to satisfy 100% of its power and water needs. Its designers claim to have qualified for 105 LEED points- the highest rating for any building in the world. Success is often preceded by failure, but unfortunately in architecture, aesthetic failure endures for a long time. Nonetheless, architectural pioneers in this arena should be applauded because they have shown how difficult it is to use power generating components as design drivers. But, the need for self-sustaining buildings, or at least buildings that consume far less of the grid’s electricity, is growing more urgent as every year passes. In our culture of fashion-driven design, a sustainable building will have to succeed aesthetically to be truly sustainable. Outdated as they sound today, Sullivan’s words still ring true.